Happiness continues to gain more and more attention as topics such as well-being and mental health become more popular. There are many definitions of happiness. According to the dictionary, happiness is “a state of well-being and contentment” (Merriam-Webster, 2018). Words like joy, satisfaction, and laughter are often times used in relation to happiness. Sonja Lyubomirsky (2008), in her book “The How of Happiness”, states that happiness is “the experience of joy, contentment, or positive well-being, combined with a sense that one’s life is good, meaningful, and worthwhile” (p.32). Luckily, there are many available tests and surveys that can help us answer these questions. Check them out as you continue reading this article. Can You Test and Measure Happiness Scientifically? A great number of measures for happiness are self-report assessments. This might make most us think that happiness cannot be measured scientifically. These self-assessments are often created in a scientific manner through research, testing, and norming. The items are often tested on sample populations and the assessment is further studied and refined to ensure that it actually tests what it intended to test. Self-reports allows us to take the assessment over and over, especially after specific interventions. The specific self-report test gives us a way to measure our happiness and find out if the changes we have implemented in our lives have made an impact. It also gives us an idea of specific times when we are doing well and how we can continue to do well. Another way of scientifically measuring happiness can be done by specifically looking at biological factors. Mark Holder (2017), known as the happiness doctor, focuses on studying happiness by looking at different biological indicators. They take samples of saliva and urine from their participants so that they can study changes in neurotransmitters and hormones. Happiness can also be measured by studying our different behaviors. More obvious behaviors would be smiling and laughing. The Duchenne smile, meaning smiling with your eyes, is said to be a sign of a genuine smile. Studying the presence of a Duchenne smile is also another behavior that can be observed and it has previously been connected with good thoughts and happiness. Behaviors that involve gratitude, acts of kindness or generosity, and appreciation, may be other ways to measure happiness as these have been found to positively correlate with our wellbeing. Meik Wiking (“The Psychology”, 2018), CEO of the Danish Happiness Research Institute, states that happiness can have many different meanings among different people. Happiness is also a subjective experience and is often interchangeably referred to as subjective-well-being. Because of this, some measures may look at our overall wellbeing and not just one aspect of happiness. Wiking (2018) further explains that in order to measure happiness, it is important to look at the various parts that contribute to the concept of happiness. Wiking shares that before diving into these factors, we must first differentiate between momentary happiness and overall happiness. Momentary happiness takes into consideration our current state and emotions. On the other hand, overall happiness considers our experiences, such as positive affect and life satisfaction, over a given time. Now that we know the difference between momentary and overall happiness, we can consider the three main factors that contribute to it, namely a person’s genetics, situation, and behavior as Wiking stated (2018). Among these three factors, psychologists have found that our behavior can account for 40% of our happiness. It is also possible to consider three different constructs, as identified by Lyubomirsky, Sheldon, and Schkade (2005), that are involved when talking about happiness: more positive emotions, high life satisfaction, and less negative emotions. These three mean that, when we are happy, we are likely to experience more positive emotions such as pleasure, contentment, and joy. We are also more likely to report that we are highly satisfied with our lives. High life satisfaction usually means that we have a good number of positive experiences in the different aspects of life, such as in our relationships, at work, and in our own personal development. Lastly, as happy people, we infrequently experience negative emotions, like anger, guilt, and fear. Studies have shown that we can positively impact our own happiness by focusing on the way we interpret situations and experiences, how we perceive our own lives, and what we choose to think and do on a daily basis. There are many surveys available to help us discover the secrets to happiness. These questionnaires make use of different questions, items, and scoring systems. A good number of these surveys were created by psychologists who recognized that there was a need to be able to measure happiness. Is there a test that we can consider as the true happiness scale? Happiness, with its many different definitions, tends to be a highly subjective topic. The different tests available measure happiness in many ways. These tests also look at various factors that contribute to happiness. Even the manner of how these surveys assess happiness can greatly differ from each other. Some assessments are lengthy with different types of questions while others are so short you can possibly memorize them. One thing these happiness surveys have in common is that they aim to help you identify what happiness looks like for yourself. These happiness tests can also guide you to work on specific areas of your life. Here are a few surveys to help you find the secrets to your own happiness. This survey is also known as the Authentic Happiness Inventory, which can be accessed through the University of Pennsylvania Authentic Happiness website. The survey was developed in 2005 by Christopher Peterson, who was a psychologist and professor at the University of Michigan (Faletto, 2018). 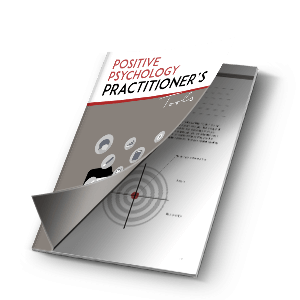 This inventory is one of Peterson’s many contributions to the field of Positive Psychology. This self-assessment looks at how you experience positive emotions, how engaged you are in your day-to-day tasks, and how you feel towards your life’s meaning and purpose. There is a total of 24 item groups in the inventory. Each group consists of 5 statements which refer to how you view different aspects of life. The assessment requires that you choose a statement, from each group, that best describes your past week. Your score is presented to you at the end of the inventory and is shown on a scale of 1 to 5, with 5 being the highest in terms of happiness. The Authentic Happiness site only shows scores in relation to other people who have taken it. The site also explains that scores on this assessment do not indicate exactly what your happiness looks like. If you decide to complete the inventory again, your past scores, together with the date of completion, are provided with your newest results. This inventory is recommended if you want to track your own happiness. You can take the assessment every so often and see how your scores fluctuate on a weekly basis. The movement of your scores can likely help you to better understand what contributes to your own happiness. Laurie Santos, a psychology professor at Yale University, opened her Psychology and The Good Life class in January 2018. It received an incredible amount of attention with over 1,200 students registering for the class. At the start of the course, students were asked to take a happiness test. Santos uses the University of Pennsylvania Authentic Happiness Inventory to help her participants gain a clearer idea of their own happiness. By the middle of 2018, Santos launched her course online through Coursera and is free to take. It is reported that there have been over 130,000 people who have enrolled in the course since its launch. This questionnaire received its name because it was created by Michael Argyle and Peter Hills at Oxford University. Argyle and Hills (2002) stated that the questionnaire is an improved version of its predecessor, the Oxford Happiness Inventory. You can download the PDF to take the Oxford Happiness Questionnaire (OHQ). This happiness questionnaire consists of 29 statements. The items are a combination of positively and negatively phrased statements and pertain to different areas of well-being. This ensures that the respondent takes time to carefully read each item before answering. The survey asks you to evaluate each statement and rate it according to how much you disagree or agree with the statement. It uses a 6-point Likert scale with 6 being the highest as “strongly agree”. You can compute for your own score after rating each item. Twelve of the 29 items are scored reversely, meaning if you scored “1” on a reverse-scored item, the actual score you will count is a “6”. Once reverse-scored items are converted, you will need to compute for the average of all items. The lowest happiness score is 1 and the happiest score is 6. A score of 4 generally means that the person is satisfied, this has also been observed to be the score of the average person. The questionnaire is useful in terms of giving you a snapshot of what your own happiness looks like. You can retake the questionnaire at any time and see if your happiness has increased. It is also possible to look at specific items and find exercises or activities to help you improve your score in that area. The Subjective Happiness Scale (SHS) is a short and straight-forward survey. It was created by Lyubomirsky and Lepper in 1999. You can take it through Lyubomirsky’s website or download this PDF. This scale is also often referred to as the General Happiness Scale. The SHS consists of only four items, each rated on a 7-point Likert scale that differs per item. The items were validated through 14 different studies with over 2,700 participants and were found to be correlated with other well-being scales (Lyubomirsky & Lepper, 1999). You will need to compute for your average score after item number four has been reverse-scored. The average score ranges from 4.5 and 5.5. It was observed that the average score of students tends to be below five, while working adults have an average score of 5.6. To interpret your score, consider which group you belong to. If you are a working adult and your score is higher than a 5.6, you can consider yourself happier than most people. It is recommended that you seek professional help or find interventions to help you if your score is lower than a 4. The SHS is really easy to use since it is short. You can use the items as a guide and complete them mentally. Some practitioners also use the items during an interview. The 1-10 scale is likely the most popular one among all the happiness surveys out there. This is because there are quite a number of them. The most common among all of the happiness scales is that it aims to help you assess your current happiness in life. It can even be more specific by asking you about a particular area of your life. Here is an example of the 1-10 Happiness Scale. Happiness scales can range from 10 to around 20 items. Each item is usually a category related to a specific part of your life. An example of this would be family, work, spirituality, communication, sleep, health, and even sobriety. The scoring system is the same across all scales. You are asked to rate each item on a 10-point Likert scale, 10 being the highest. A score of 10 indicates that you are “very happy” with that area, while a score of 1 shows how “very unhappy” you are. This scale is convenient to use since you can measure your own happiness. One way of doing this is to ask yourself “On a scale of 1 to 10, How happy am I with…?” and ask yourself this question for various parts of your life. Psychology Today, a popular magazine and website, devotes itself to providing you with the most recent updates and studies in the field of Psychology. They created their own Happiness Test which can be taken for free on their website. The free version gives you a snapshot of your results. You can also opt to pay their fee to gain access to your full report. The test consists of 47 items and takes around 20 minutes to complete. Items are a combination of hypothetical and self-assessment statements. Each item is rated on a 5-point scale with various meanings depending on the item being answered. There are 11 items that are rated based on how often the statement describes you – 1 being “most of the time” and 5 being “almost never”. The next 23 items are rated on how much you agree with each statement, 1 being “strongly agree” and 5 being “strongly disagree. The last 12 items offer a scenario and ask a question at the end. You are asked to choose one out of the five answers provided. Results of the Happiness Test gives you an idea of how pessimistic or optimistic you are. The free version gives your score on a scale of 1 to 100 and provides a paragraph that explains what your score means. You will be asked to pay their fee to see more than that. The Happiness Test seems to be an extensive assessment based on the types of questions asked and the information possibly provided through the paid full report. Psychology Today reminds its users that the test is to be used a starting point or for the purpose of personal growth. This survey was developed by Dr. Robert Holden and is used in his Be Happy program, which was featured in BBC’s documentary How to Be Happy. You can take the test on Dr. Holden’s website. BHI consists of 10 items which are rated on a 5-point scale, ranging from “not true” to “very true”. The test requires you to rate each item depending on how true the statement describes you. Each statement pertains to a different aspect of life, such as relationships, work, and self. Your results are presented to you upon completing the assessment on the website. A brief description is provided for you to understand what your numerical score means. Dr. Holden also provides tips on how to quickly increase your happiness and encourages that the BHI be taken at least seven days after applying these tips. The Pursuit-of-Happiness.org, a nonprofit organization, created their own quiz to measure happiness. The quiz aims to measure your specific life skills related to happiness. It looks at how you learn to improve your happiness, habits, and even your lifestyle. You can check out their website to take the assessment. The quiz consists of 12 items which are scored on a 5-point scale. The values of the scale differ depending on the item you are answering. The total score of all items is 115 points. Your results are given together with your score and a brief report. 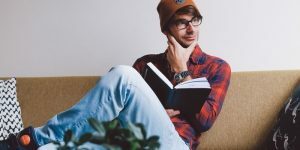 Based on their data, they have found that a majority of those who have taken the Happiness Skills Quiz actually practice one of the 7 habits of happy people. After you receive your report, they encourage you to learn about these 7 habits or help other people increase their happiness by sharing these habits with them. Although most of the available surveys can be used for students, the Subjective Happiness Scale (SHS) may be the best one to use since it is easy to understand and administer. The SHS also has available norms for students and can make interpreting scores more applicable to younger participants. The 1-10 Happiness Scale can also be valuable to use with students as it teaches them to assess specific areas of their life. The student can gain from learning how to differentiate between categories and explore ways on how they can increase their happiness in this area. Another test available to students is the Middle Years Development Instrument (MDI). The test was developed through the partnership of different individuals from the Human Early Learning Partnership (HELP) of the University of British Columbia. The MDI, like most of the other happiness surveys, is a self-assessment and is completed by the child. The questionnaire asks students about their experiences relating to their physical health, support systems and relationships, social development and emotional functioning, school experiences, and extracurricular activities. Happiness in the workplace is often referred to as employee engagement. There are a number of companies who are experts in measuring engagement and offer this as a service to their clients. There are also a few assessments you check out such as The Happiness At Work Survey and The Happiness At Work Quiz. How would you rate your work-life balance? How comfortable are you providing feedback to your peers/colleagues/managers? Below are some questions that you can also ask when measuring engagement. These questions are often rated using a 5-point scale, with each option having an equivalent value. The questions may also be asked in a different way or presented in a statement format. Do you find your job fun? Do you know what your job requires of you? Do you believe in your company’s values/vision/mission? Do you believe your contribution at work is valuable? Do you have access to the necessary training programs for you to do your job well? Do you have the opportunity to grow within your company? Do you feel hopeful about your future in your company? Do you have the opportunity to do what you do best at work? Keep in mind that it is important to pay attention to the language and terms that you use in your survey. The way you ask questions and how your scale is rated can help affect the quality of the data you collect. You may also want to consider your company’s culture when deciding on the survey you will use. Happify was created with the input of various happiness experts. The app provides you with online science-based activities you can accomplish on a computer or mobile device. It encourages you to participate in games writing activities that have been identified to increase happiness. At the start of the app, you are presented with a questionnaire that aims to measure your happiness. Based on your results, the app will give you different activities to help you shift the way you think, deal better with stress, and focus more on the positive things in your life. Happify is available on a web browser and for iOS and Android. Jane McGonigal, the author of the book “SuperBetter”, also created an app that can help you improve your life by building resilience. The app starts with four different quests with videos that explain the idea behind each of the quests. Once you complete the quests, you will be asked to identify a specific challenge you face. Your adventure into becoming superbetter starts from there. The SuperBetter app capitalizes on the gamification of activities to make tracking your daily activities or behavior more fun. The gamification process also allows you to see your progress by gaining points and increasing your power. You also get to choose your own superhero as you go through different tasks. This app is available on a web browser and for iOS and Android. There is also a new version, superbetteratwork.com, that is geared towards building resilience in the workplace. This app was developed by Harvard University researchers. The app asks you questions about what you are doing and how you are feeling throughout the day. Once you have completed 50 questions, you will receive a happiness report. Track Your Happiness is only available for iOS. Since gratitude is known to increase positive emotions and happiness, writing down what you are grateful for can help you become happier. My Gratitude Journal helps you track five things you are grateful for each day. The app can also send you reminders to ensure that you login and complete your list. Although the app does not really give you a concrete measure of happiness, you might be able to see the changes in what you write down. This app is only available for iOS. Daylio is a simple app that lets you track your mood by using emojis and icons. You can see your mood spread out on a calendar. The app can also provide statistics and information to help you better understand your habits. The World Happiness Report (WHR) surveys the happiness levels in 156 countries. The first WHR was published in 2012 with the purpose of measuring subjective well-being around the globe. The latest report was released in March 2018 and had a special focus on the happiness levels of immigrants. WHR looks at six different factors to measure happiness. When presenting their results, they show how much of a country’s score is explained by the following factors: GDP per capita, social support, healthy life expectancy, freedom to make life choices, generosity, and perceptions of corruption. 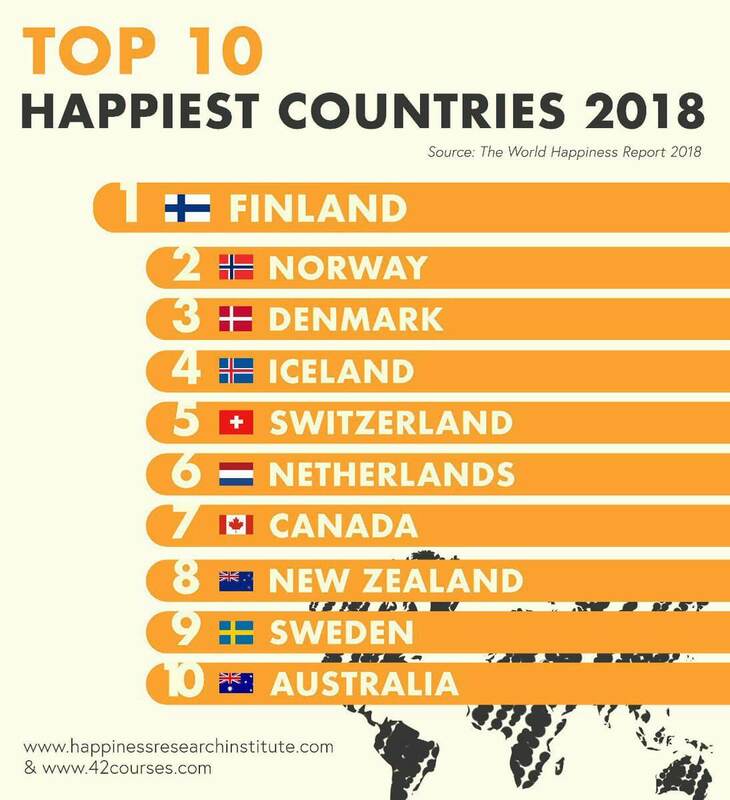 These 10 countries were also reported as the happiest countries, although in a different order, in the 2017 World Happiness Report. Just as you discovered through this article, there are so many ways you can measure happiness. There are quite a number of tests to choose from, as well as different mobile apps you can use. These surveys give you a great starting point to measure the base levels of your own happiness and well-being levels. Your results from any of the happiness measures will help you discover the areas you can work on to increase your own well-being. You can try out a specific intervention or tool, like practicing gratitude or mindfulness, in order to boost your happiness. After trying out these activities, you can take the happiness test of your choice and see how it impacted your scores. You are likely to really benefit from any of the tests mentioned here by re-taking them after a specific amount of time or after using a specific tool. Continuously tracking your happiness levels will keep you aware of the different ways you can choose your own happiness. We hope you have fun trying out the different happiness tests! Lyubormirsky, S. (2008). The How of Happiness: A Scientific Approach to Getting the Life You Want. (2008) New York: The Penguin Press. Lyubomirsky, S., & Lepper, H. (1999). A measure of subjective happiness: Preliminary reliability and construct validation. Social Indicators Research, 46, 137-155. Schonert-Reichl, K.A., Guhn, M., Gadermann, A.M., Hymel, S., Sweiss, L., & Hertzman, C. (2013). Development and Validation of the Middle Years Development Instrument (MDI): Assessing Children’s Well-Being and Assets across Multiple Contexts. Social indicators research. Celine Sugay is a licensed Psychologist and is one of the first Positive Psychologists in her country. She has a Certificate in Applied Positive Psychology and is a Gallup-Certified Strengths Coach. She enjoys coaching individuals and leading workshops on positive psychology and strengths-based development for corporate clients and students through her company, Speak. She is excited to grow the field of Positive Psychology in the Philippines.